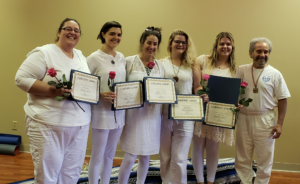 In partnership with West-East Yoga School in St. Louis, The Yoga Connection hosts a 10-month yoga teacher training program February-November. Feel free to call (618-467-8827) or email (dmwatt33@gmail.com) Danette Watt with questions. We also occasionally offer continuing education for certified yoga teachers or advanced practitioners.